We were excited to welcome Kaleb Child (Musgam'dzi) as our conference keynote! 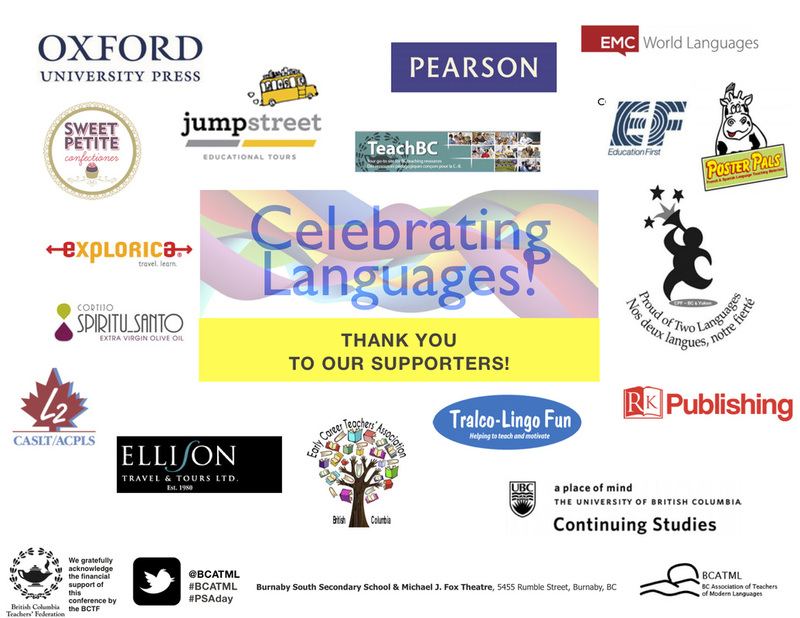 BCATML's annual conference, Celebrating Languages, returns to Burnaby South Secondary School this year on Friday, Oct. 21, 2016. 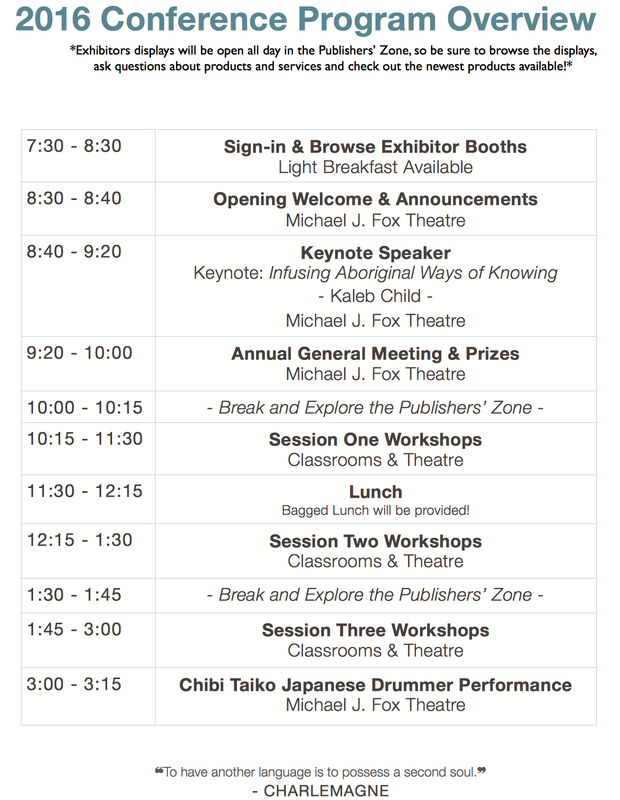 We are excited to announce Kaleb Child (Musgam'dzi) as this year's conference keynote. 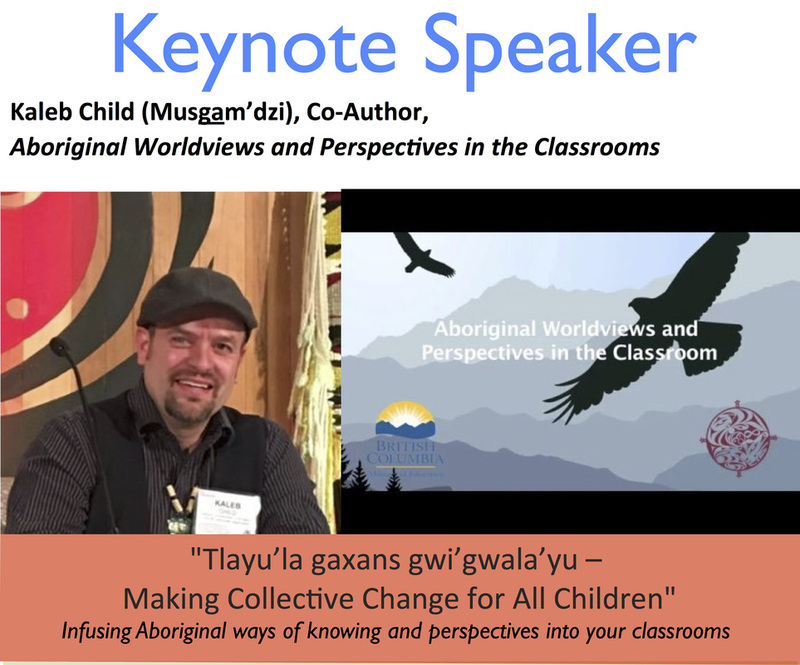 His presentation "Tlayu'la gaxans gwi'gwala'yu - Making Collective Change for All Children" will discuss how to infuse Aboriginal ways of knowing and perspectives into your classroom. Kaleb will inspire you to develop your curriculum to include First Nations content, perspectives and knowledge in innovating and helpful ways. There were a wide range of engaging and relevant workshops for teachers of French, Spanish, German, Japanese, Mandarin and Punjabi. Attendees who registered early were able to choose from various workshops for all levels pertinent to their teaching language area such as: the French Federal Funds, using Twitter to develop your own Professional Learning Network, a list of publishers and vendors providing resources for many different languages, and of course ideas from BCATML's Language Representatives for French, Spanish, German, Mandarin, Japanese, Punjabi and Elementary and Middle Years. Early-bird rates are now over! Regular rates are now over! Registration is at full capacity! BCATML has managed to secure some great deals for you jet setters out there. Pack your bags and make it a full weekend! Hurry; many of the desired flight times are being booked! The hotel is located directly across from Metropolis at Metrotown, the largest shopping, entertainment and restaurant complex in British Columbia, with over four hundred shops and services. It is also conveniently located next to light rapid transit (LRT) Skytrain, which offers easy access to downtown Vancouver within fifteen minutes. The conference rate for a standard room is $129, taxes and fees not included. To book by phone, call (604) 438‐1200 and quote BCATML Conference to get the conference rate of $129 per night. The hotel is pleased to offer complimentary basic wireless internet for all guest rooms. Underground self parking is available for registered guests at $12.00 plus applicable taxes. Valet parking is $16 per day. Conference room rate will be held until September 20th, 2016 before the rooms will be released to the general public. WestJet is happy to confirm they are able to offer 10% off the base fare* for travel between Vancouver/Abbotsford and anywhere WestJet flies in North America (including our Delta code-share partner network). To take advantage of this offer, use the discount codes listed below. For details on how to complete a booking with these discount codes, please visit westjet.com/convention-discount. Please use the Promo and Coupon code if booking with a Travel Agent. Travel must be booked by October 30, 2016 and is valid for flights between October 16 - 30, 2016. ​Air Canada is offering BCATML Conference attendees a 10% off discount on all flights within Canada to Vancouver (excluding Tango and Executive Class fares). To book a flight, visit www.aircanada.com and use the promotion code: U8DRBUX1. ​The booking is to be made to the following city: Vancouver, YVR (BC). The travel period begins Friday, October 14, 2016 and ends Friday, October 29, 2016. No discount will apply to Tango and Executive Class lowest bookings for travel within Canada or between Canada and the U.S. However, all bookings made using the promotion code will count toward the minimum 10 passenger requirement for Meetings and Conventions events.